Grado launches PS2000e flagship headphones | What Hi-Fi? The headphones have been in development for more than two years, and draw on three generations of Grado expertise. Grado has unveiled its PS2000e flagship headphones, which feature a hand-carved maple inner chamber clad in the company's smoked chrome finish. The PS2000es have a wider leather head strap than the PS1000e - its previous flagship - which should make it more comfortable for extended sessions. The wood isn't just for show. 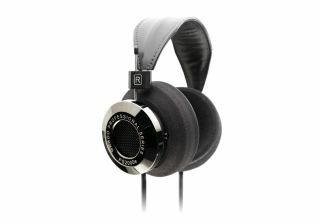 According to Grado, it delivers a "unique desired response", while the metal alloy cladding eliminates ringing and other distortions. A new driver design minimises signal colouration, making your tunes as unadulterated as possible. The headphones have been two years in the making, with three generations of the Grado family contributing to their design. The firm redesigned the diaphragm geometry to more accurately convey the music signal. It also developed a new front cap and grill for the new driver, resulting in minimised diffractions of the signal emitting form the diaphragm. The proprietary hybrid housing gives the driver plenty of support, which also helps to eliminate distortion. The PS2000es are on sale now in the US, priced $2,700. As yet, there's no word on UK price and release date, but we will update this story when we hear further news.